Created in HD especially for iPad. 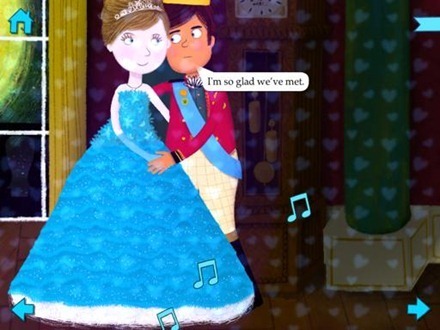 Nosy Crow’s Cinderella app lets you play inside the story. 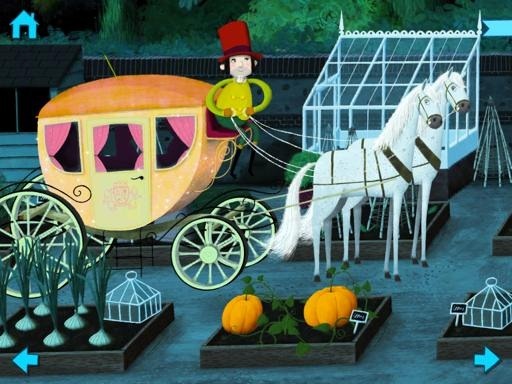 Beautiful illustrations, exciting animation, and original music make this a picture book app at its best. My 8 year old daughter had a couple days off school recently and we spent a lot of time with iPad apps. This one sounded very promising, so we took a look at it the other day. I should mention that the Cinderella story is a little ‘young’ for my daughter (Zoe), so she did not go into this with a lot of optimism about enjoying the app. 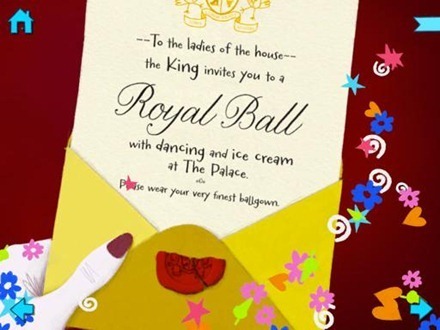 Right from the opening splash screens of the app, including the Nosy Crow animated one, Zoe and I were impressed, and hopeful that the book would be better than expected. And oh boy was it. The illustration and animation in the app are superb. 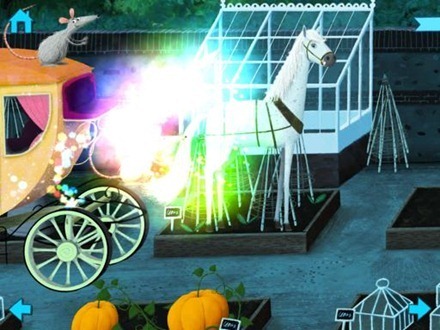 They’re bright and always fun and whimsical feeling. There are lots of iPad books for kids that have a good amount of interactive elements. This one is chock full of them. Every page offers numerous places where kids can tap and see things move; tapping on characters gets more and more dialog, with multiple lines from each. There’s a great kitchen scene where you can tap to help Cinderella tidy up plates, cups and assorted things; and another page where you gather up items for her fairy godmother to get her magic together to make the carriage for Cinderella. 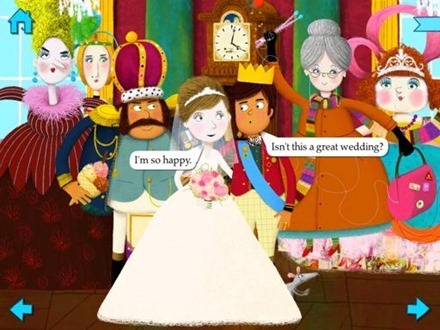 Zoe and I both laughed and smiled a lot in reading through the story – and she spent ages enjoying each page. 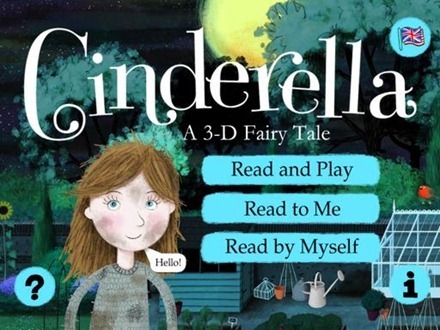 The app’s UI is just as it should be for a kids book like this one – nearly invisible. Everything you want to do is completely intuitive and easy. There are also nice little touches like the blue ribbon at the top right of each page – which opens a pages thumbnails popover when tapped, so it’s easy to tap and move quickly to any individual page you choose. One of the ultimate seals of approval for an app Zoe and I spend time with is when as soon as we’ve gone through it, she asks me to go look for more apps from the same developer. Of course that happened with this app. We ended up immediately installing another title from Nosy Crow (more on that soon). 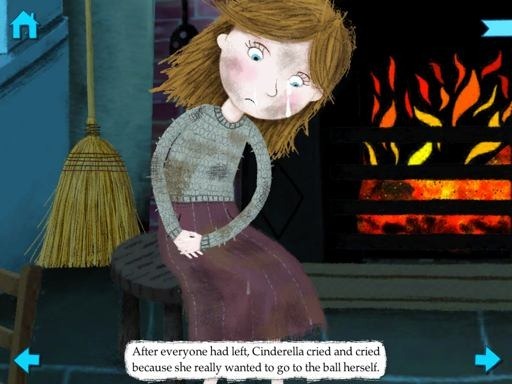 Nosy Crow’s Cinderella deserves all the praise it has received. It’s an excellent, fresh version of a classic tale and it does all the things an iPad storybook should do to engage and entertain kids as they read it. Beautifully done in every way. 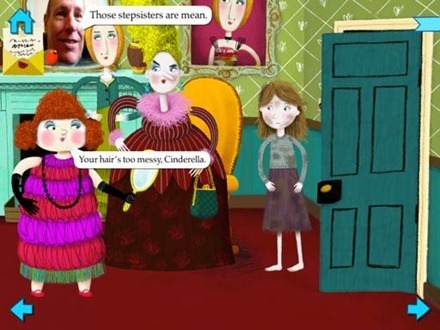 Here’s an App Store link for Cinderella – Nosy Crow animated picture book; it’s priced at $7.99.